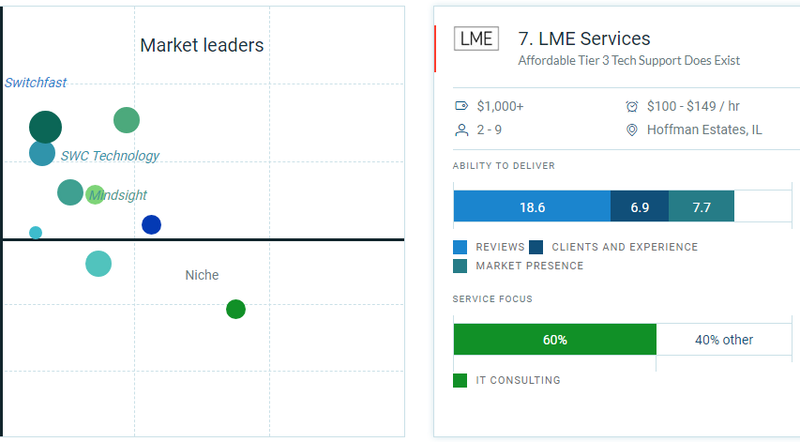 Clutch, an independent market research firm based in Washington DC recently released of the list of the top IT services firms in the chicago area, and we are proud to announce that we landed on the list of the most highly rated managed service providers in Chicago. 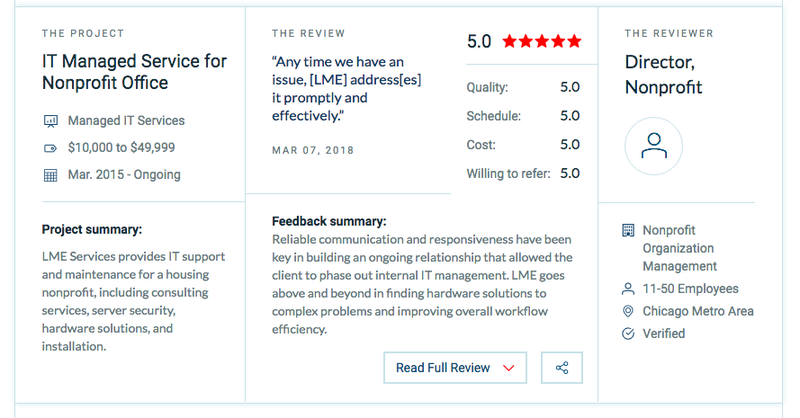 We are especially proud of this accomplishment because in addition to market presence, and past work output, the list was determined by feedback from our clients. LME Services averages of 4.9 star out of 5. This validates our commitment to providing the highest possible level of technology consulting and managed services. Please contact us to learn how we can help you with all of your IT consulting needs. Check out our profile on Clutch to read full length client interviews.